Makenzies Miracle: I am a Fish! We have been at the pool all week!!! The kids are loving it! We went today with some friends and picked up pizza on the way. I thought I would eat befor we got in but Makenzie had other plans!!! She fussed and cried. I thought maybe it was because she was tired but as soon as we got in the pool she was in the best of moods!!! She just wanted to get in!!!! Makenzies reflux is still under control! We did have some acid this morning but it seems to have passed! We are now up to 59 cc per hour which is BIG! I haven't gotten her much over 50 with out major mucous and acid problems! She is also now up to 23lbs 1.5oz!!! That is a gain of about 1 lb in les than a week!!! GO KENZIE and or course YEAH GOD!!! I am hoping that if we keep her on the medicine that we can get rid of the reflux all together! When she gets to 24 lbs I want to try to feed her through her stomach again and try to get on a more normal feeding schedule so that we can work on her oral feeding better! Please keep praying for this! No more reflux and for her to tolerate 3 larger feeds per day with no night feeds!!!!! We also have an immunalagy appointment on Tues and another IEP meeting. Please also pray for Gods hands to be in both of these appointments! Please pray that He would use these people to help in Makenzie's restoration!!! 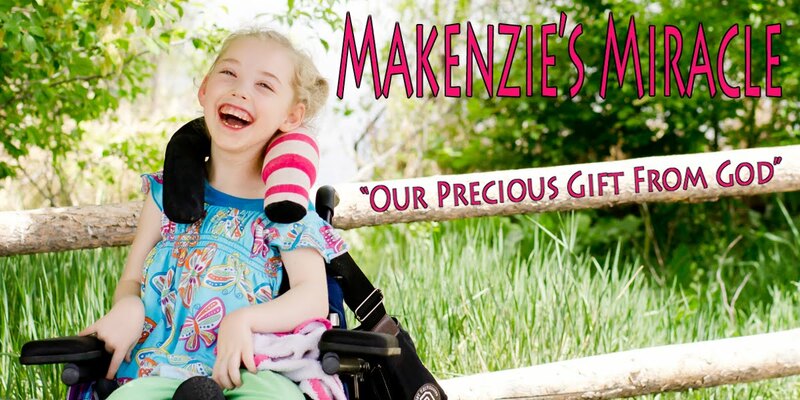 Please pray most importantly that in every bit of Makenzie's healing that God would recieve ALL of the Glory!!!! Thank you for all of your thoughts and prayers!!! They mean so much to our family!! !